Vitaburst at Oxford Railway Station always makes me smile – a place so healthy and in sync with the way I try to live my life, that I sometimes pop there even if I’m just shopping in town and not travelling on the train! Don’t get me wrong, I love a good almond croissant or pain au raisin once in a while as a treat – just not every day, and I certainly don’t want to be forced into having to choose something of that ilk purely because I’m held to ransom by the train station highwayman, en route to somewhere else. 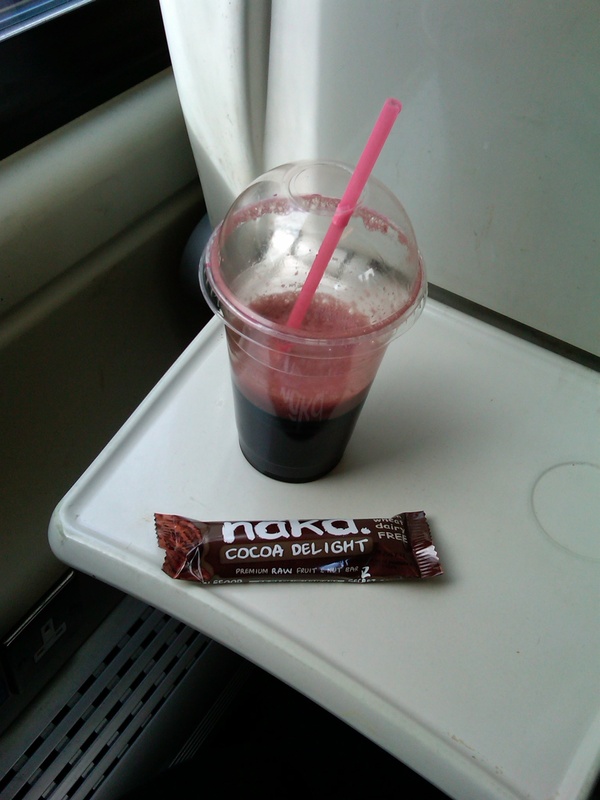 The fact that I can choose a juice or smoothie that I would make myself at home (no additives or refined sugar etc), or pick up something else delicious and healthy like a Nakd bar (cold-pressed raw food with no dairy, wheat, gluten or added/refined sugar) makes me feel REALLY good… I can arrive at my destination feeling full of energy, totally guilt free, with no crazy peaks or troughs in sugar levels to contend with later in the day – I can just get on and enjoy gorgeous time with wonderful friends! 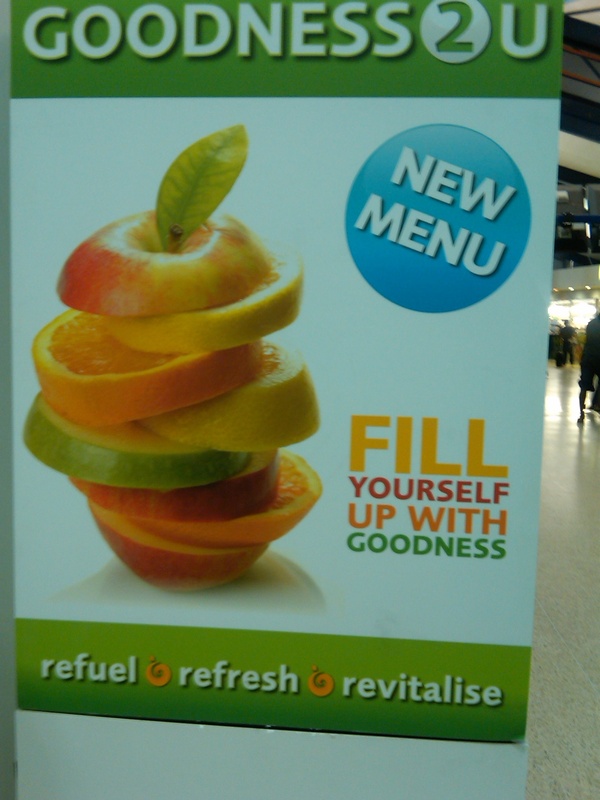 Plus, everything is super scrummy – no “yucky” health foods here, all yum! My favourite drink to pick up from this fabulous Oxfordshire couple, is a beetroot, celery, carrot, apple & ginger juice – full of anti-oxidants, vitamins & goodness for cells in the body… beetroot is neutral and sweet in Chinese Food Energetics, it nourishes blood by entering the Heart & Liver, encourages Qi (energy) circulation and counteracts cold – which makes it perfect for this chilly time of year, and additionally balances out the other energetically cooler ingredients in the juice – celery and apple… the ginger also helps this, as it is energetically hot and counteracts cold and phlegm, making it a must-add for juices in the winter. I also opt to add an extra shot of spirulina (blue-green algae) to the juice for extra blood nourishment – in terms of Chinese Food Energetics, it is cool in temperature, has a slightly salty flavour and goes to the Liver. It boosts Blood, Yin and Jing (the innate essence and energy reserves we are born with), and regulates removal of toxins from the body. In conventional medicine spirulina is rich in protein, vitamins, minerals, and carotenoids, antioxidants that can help protect cells from damage. It contains nutrients, including B complex vitamins, beta-carotene, vitamin E, manganese, zinc, copper, iron, selenium, and essential fatty acids. Everyone can benefit from adding more blue-green algaes to their diet (chlorella is another good example), but particularly women with heavy periods, vegetarians, vegans or those who don’t eat much meat, and people with a high amount of stress could also benefit – see the download section of the website for the relevant info sheets. And next time you’re travelling somewhere, look out for ways you can get more goodness on the go – if you’re going via Oxford railway station, lucky you – visit vitaburst and tell them Rhiannon sent you! This entry was posted in Food Energetics and tagged Chinese Food Energetics, Chinese Medicine, Health Eating, holistic health, juice, juicing, raw food by Rhiannon Griffiths | Acupuncture. Bookmark the permalink.